My sock knitting got off to a rather rough start though. I hardly knew how to knit. I could not even cast on! A friend was showing me how. 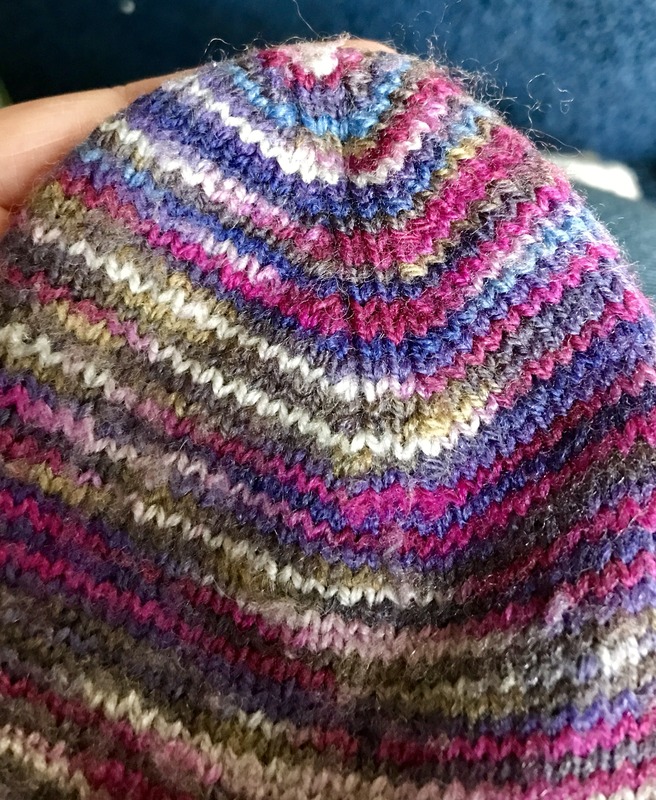 When it came to casting on, the heel flap, turning the heel and finishing the toe, she felt she couldn’t explain it and just did that part of the knitting for me. 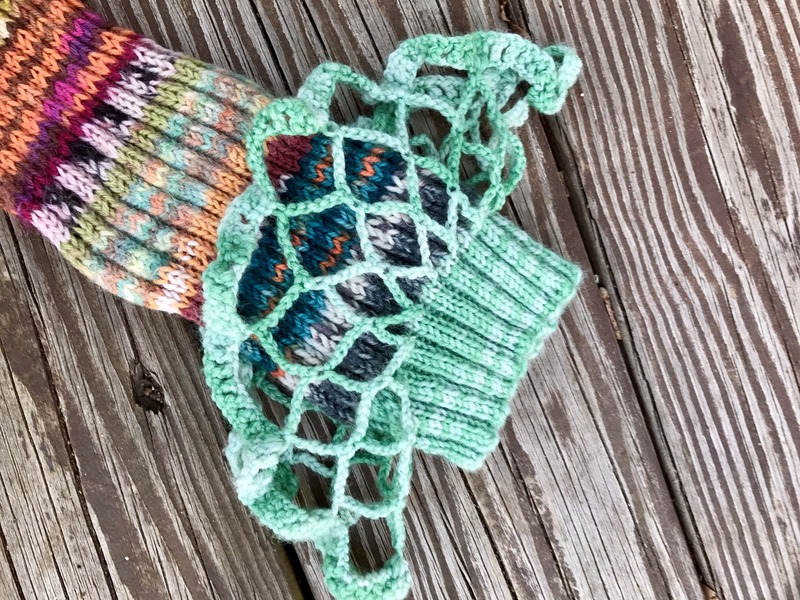 It took a long time to make that first pair because the knitting friend living 350 miles away. I literally had to mail my knitting to her when I got the to heel. Then, a couple of weeks later, the sock would return with a completed heel. Then, I knitted to the toe and mailed the sock off again to be finished. After that first sock with all the back and forth, something had to change! I dedicated myself to learning how to overcome those tricky areas that my friend could not explain. At first, of course, I followed patterns. Things got a lot better and I knit a lot of socks. But, after a few years, I got a little bored, honestly. Then, I began to intentionally do different things to suit myself and my own style began to develop. This helped keep my interest up once I found my design groove. I figured out how to fix my mistakes easily. 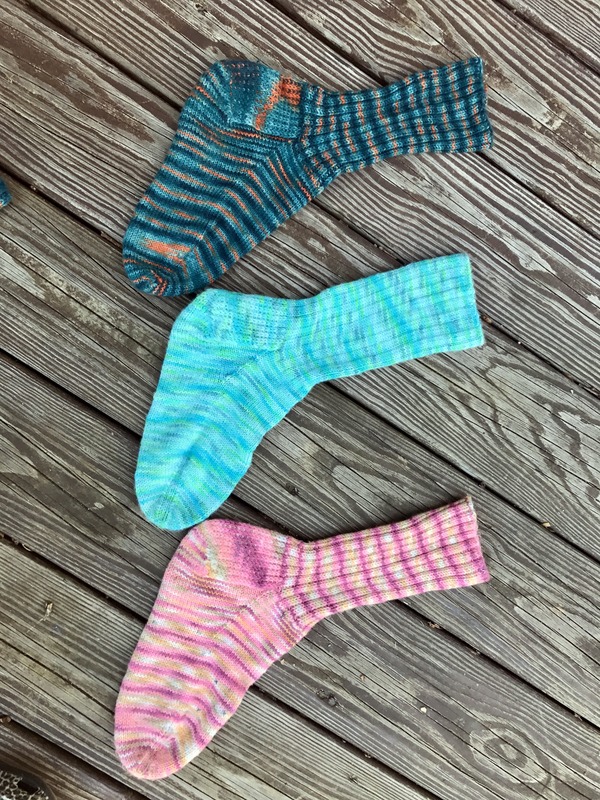 I invented ways to cure “Second Sock Syndrome”, bust my stash and use my scraps. 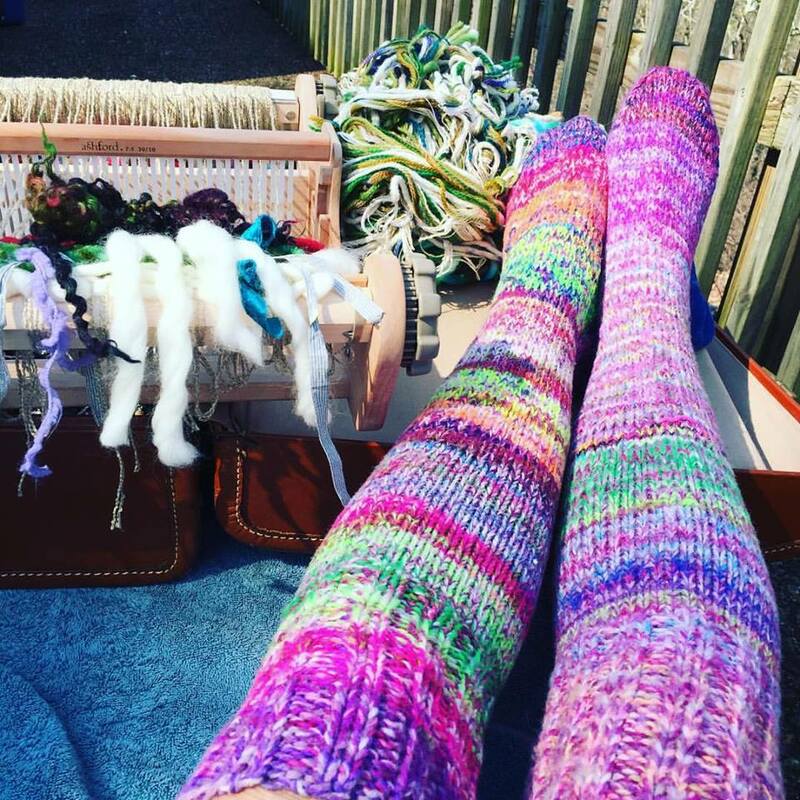 Now, I no longer use a pattern — I knit socks based upon my own needs and tastes. Frequently, I would post pictures of my socks online and people would ask for the pattern or how did I make the socks. 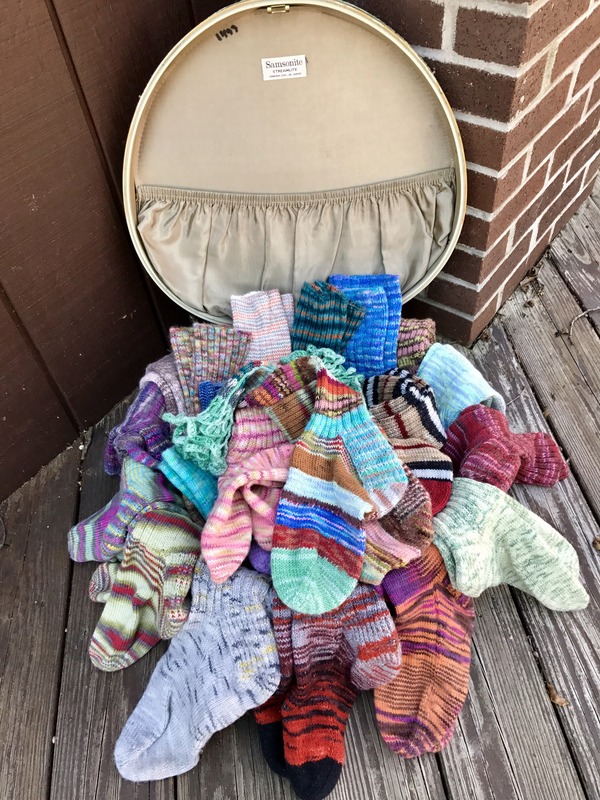 Now, for the first time, I have put together this Sock School to share what I have developed. When I was pulling together the ideas for this class, Suzy Brown was excited but apprehensive about trying to knit a pair of socks. I convinced her that the way we should set up the class was for us to do it together — She would be the perfect student! So, in this class, Suzy is actually learning during the time we produced the course (wait till you see her amazing first sock!). It also made the whole production process a lot of fun for both of us. 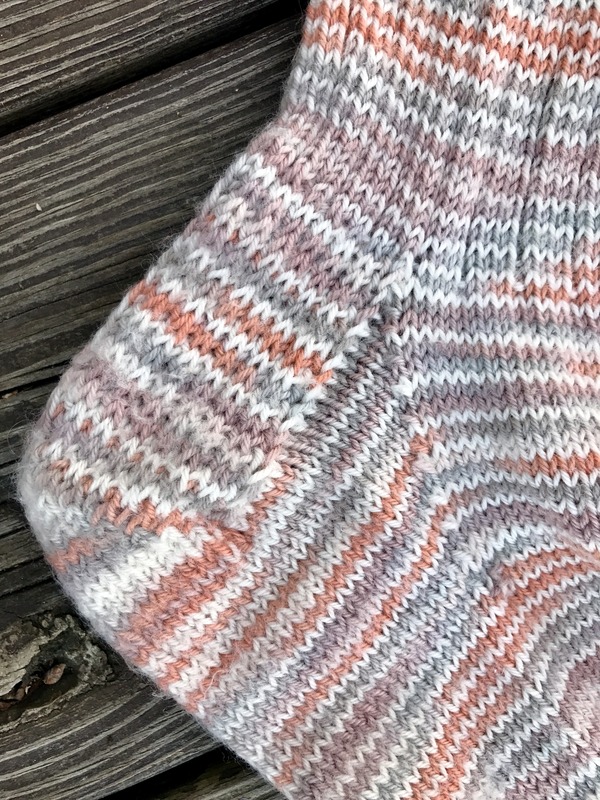 Something else really important to me when putting the content together was making sure to build a true understanding in the mind of the student to gain confidence and feel in control of the sock making process. That is why in this class, we first explore the ins and outs of yarns and needles. There are a lot of options out there! It’s good to know how to buy to get the results you want. Next, we move onto an anatomy class and then take a deep dive into getting a handle on whether or not to fix mistakes and how to fix them if it’s worth it. There’s nothing that gives a knitter more confidence than being able to stare down a mistake and know it’s not big deal. Then, we launch into design and construction. This is the heart of the course. With these two modules under your belt, you’re good to go. 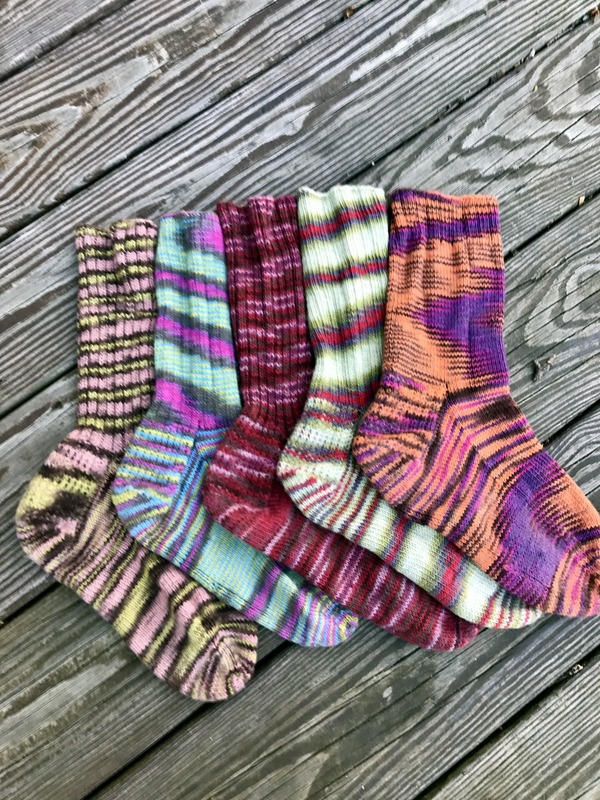 Not only are there the dynamic course videos with Suzy and I but there are supplemental technique videos, plus handouts so that we build layers of understanding for the actual making of the sock. Lastly, we finish up with all kinds of fun details in a final fifth wrap up module that guides you through washing, wearing, and where to go next with your knowledge and newly acquired stash. It has been our absolute pleasure to put this course together. 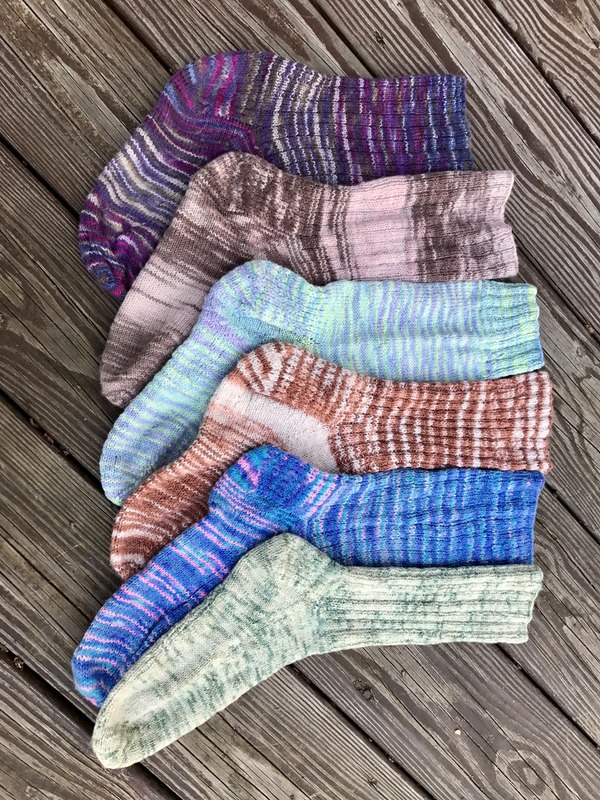 I hope to share my love of sock knitting with you. Hop on over to the Sale Page to learn more and join us! When you sign up for this course you receive permanent access to the Fiberygoodness Members only areas and resources, plus your own course page where you will find your Class Handouts to download and your Course videos to watch!